The featured speaker has usually been a comedian, with the dinner taking on the form of a supposedly friendly ‘roast’ of the president and his administration. 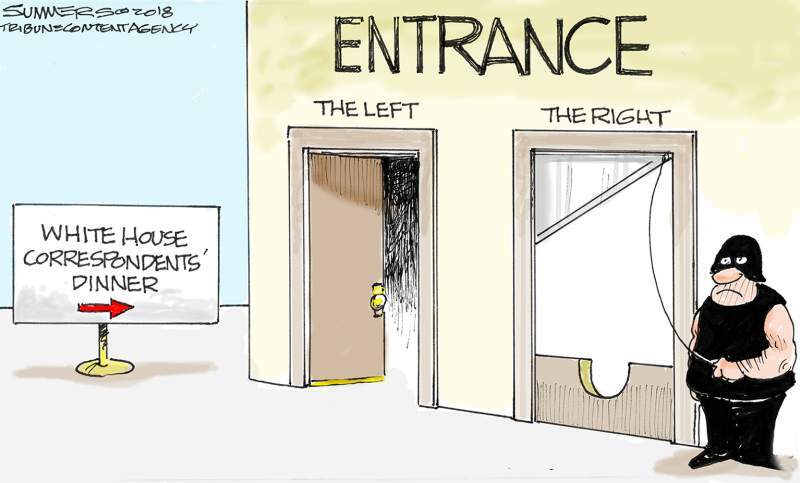 Question: What do you think is the point of both Dana Summers’ and Steve Kelley’s cartoons? Explain your answer. 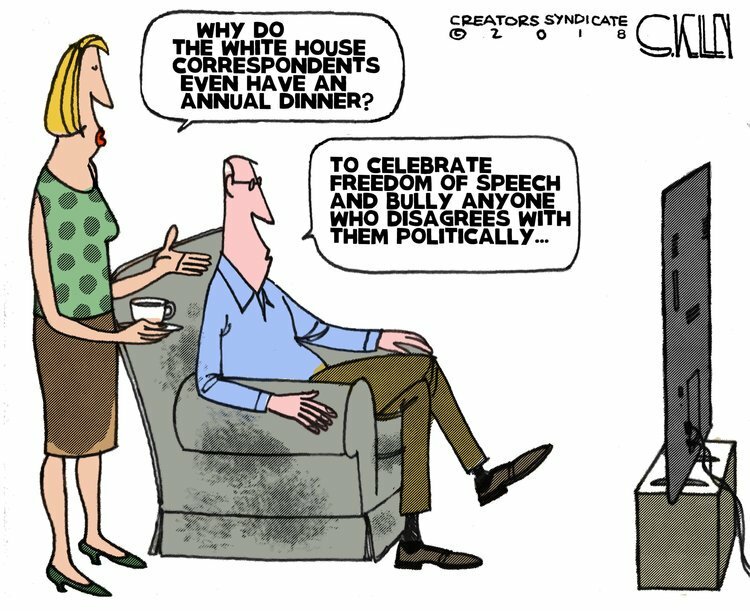 Both cartoonists’ message is the same: the White House Correspondents’ Dinner is only welcoming to those who agree with jounalists’ liberal ideology. Anyone who holds opposing viewpoints (in this case President Trump, his staff and family and half of the American people) is ridiculed and scorned in a mean-spritied way. The jokes again this year at the dinner were malicious and degrading to the President’s family and his administration. Axios editor Mike Allen said the dinner showed the press corps’ bias before Wolf [the comedian] even began speaking. “If the dinner can only attract liberal presidents and liberal comedians, the conclusion is inevitable,” Allen wrote. “Unfortunately, I don’t think we advanced the cause of journalism tonight,” tweeted Peter Baker, New York Times chief White House correspondent. “If the #WHCD dinner did anything tonight, it made the chasm between journalists and those who don’t trust us, even wider. And those of us based in the red states who work hard every day to prove our objectivity will have to deal with it.” tweeted AP reporter Meg Kinnard.